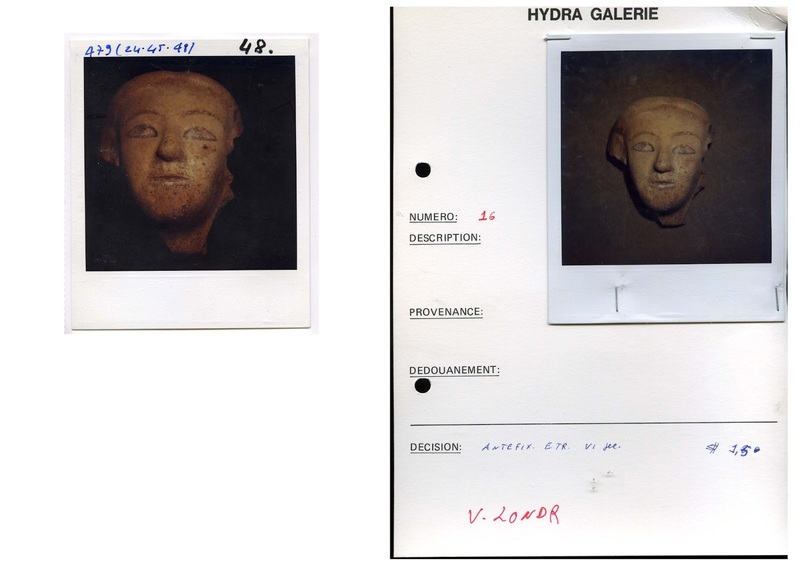 Bonhams has withdrawn the Etruscan antefix from its sale of antiquities after images of what appeared to be the piece were identified by Dr Christos Tsirogiannis in the Medici Dossier. The staff of Bonhams now need to reflect on their due diligence process and perhaps the auction house's use of "stolen" art databases. It has been pointed out at the APPG in Westminster that there are clear issues about the over reliance of such databases for identifying recently surfaced archaeological objects. The decision to withdraw the lot will presumably imply a detailed analysis of the Chesterman collection and the origins of each of the terracottas.